A concentrated aqueous suspension of 6 μm polystyrene particles that can be excited by a red laser (and incidentally with a blue laser with emission over 600 nm). 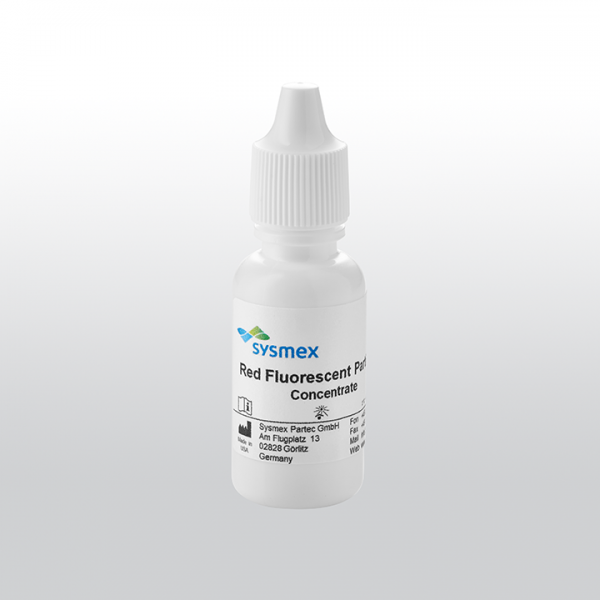 Dilution of this concentrate is suitable for use for alignment and to monitor the performance of flow cytometers equipped with a 635 to 640 nm laser. A dilution of Red Fluorescent Particles Concentrate can also be used for daily quality control with standard settings.